It’s about that time again! The crisp/cool air, countless beautiful shades of colors, and plenty of enjoyable evenings around the bonfire await us here in Oakland County. Yet, amidst all these great things, there are certain preparations that you need to be aware of when getting ready for the fall season as well. Routine furnace maintenance: Don’t hesitate to schedule an appointment for your furnace. While trying to juggle work obligations, kids, school, chores, and much more, this is one of those areas that can easily be overlooked. Please go here for a list of professionals that are in my Professional Team of Experts list for the local Oakland County.But a couple hundred dollars now is much more reasonable than a few thousand later. Keep your furnace in good working condition and make sure you’re prepared for the colder temperatures. 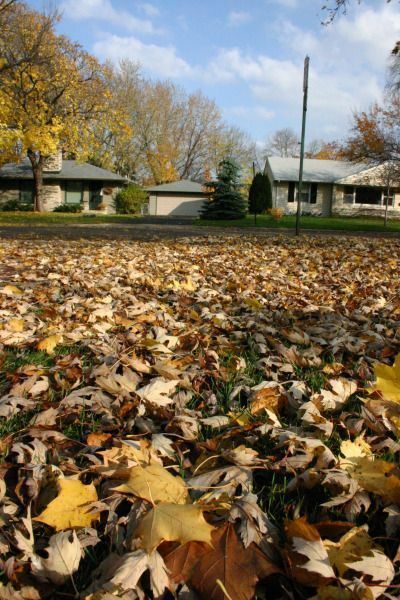 Clean off your roof: As the leaves begin to fall, it’s important that you protect your roof from unnecessary moisture. Take the time to clean off any debris that builds up before the winter months and ensure that your roof is patched from any basic wear and tear.This will be especially vital when winter snow begins to accumulate. Also, clear out your gutters and scan the area around your chimney as well. If there seems to be any places where water could leak in than it may be time to call a professional. Prepare Your Pipes: First of all, don’t forget to unscrew any hoses or nozzles attached to the outside faucets. For those who are using underground sprinklers, take the time to push out any remaining water from the summer. Also, cleaning your septic system may be beneficial before the temperatures hit freezing. Basic Crack Repair & Landscape: For those who have minor sidewalk or concrete damage, now may be a good time to fill some of those areas with something like Quikrete to avoid further damage. This can help to keep water and moisture out, especially once snow hits. Also, make sure to clear out the areas around your house where leaves have fallen, and cut back any other trees or shrubbery. Insulation & Energy Efficiency: This can be a huge money waster! For those who are rarely at home and constantly on the run, you may want to consider investing in a programmable thermostat. This can save you hundreds of dollars alone by cutting back on unnecessary energy costs. Especially with the rise in most utilities costs, this should certainly be considered.Also, are there areas around your windows, doors or elsewhere that may be allowing draughts to enter your home? Consider either having these places sealed or maybe investing in some new materials. Depending on how long you plan to live at your current residence, the cost could certainly be justified. Hopefully you have found these 5 tips to be helpful and informative. Please visit us again soon, as we update our website with other useful tips on a regular basis.